We offer various types of rooms. There is always a room type that suits your travel company: single, double, triple or family room. 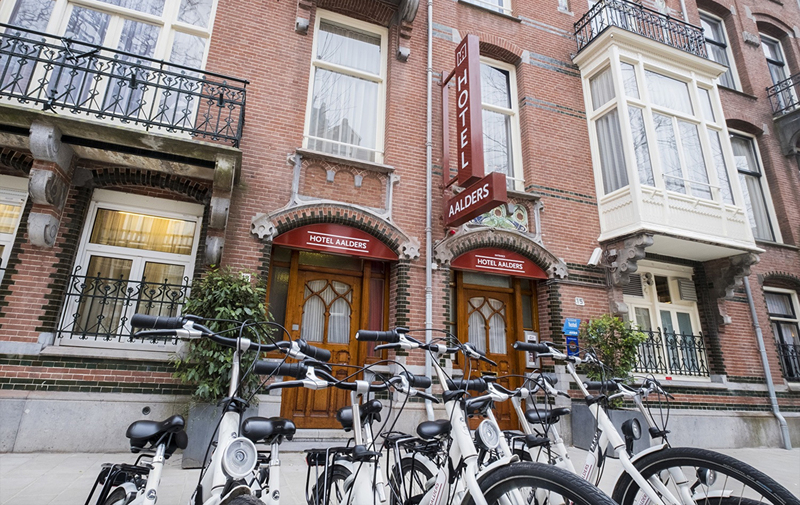 Hotel Aalders offers 32 unique and charming rooms, only some steps away from the most important museums that Amsterdam has to offer you. Your room has a private bathroom, flat screen television, telephone, alarm clock, desk and coffee and tea facilities. After a good night's sleep, please come and enjoy breakfast in our unique breakfastroom. Our pleasant and cosy Small Single Rooms is ideal for the solo traveller. Our Small Double Rooms are equipped with 1 double bed. Ideal for that romantic stay in Amsterdam. All our unique Triple Room are equipped with three singlebeds and are all located on a higher floor. Our Family Rooms are perfect for you and your family. The rooms are a all equipped with 2 doublebeds for 4 persons.